Mocha Cupcake – The cake was a bit dry, and the frosting was ok…nothing really wow’d me about this one. Coconut Cupcake – This one was good! The frosting was coconut flavored with shredded coconut on top and a vanilla cake. S’mores Cupcake- This was eh…It looked good, but that’s all that was good about it. It had a marshmallow frosting that was toasted with graham crackers sprinkled on top, but it didn’t really taste like S’mores to me. Mint Cupcake – Complete Fail. The mint frosting tasted funny and the cake was dry. Red Velvet Cupcake – The only cupcake that they seem to get right at SusieCakes. I love the cream cheese frosting (not too sweet) and the cake is nice and moist. 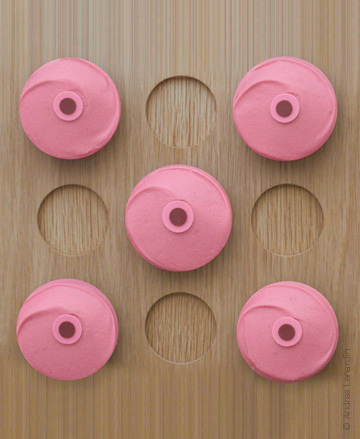 So, what’s the verdict on SusieCakes vs. Sprinkles? I definitely think Sprinkles is better, even though I really like the Red Velvet at SusieCakes. Sprinkles has been generally consistent with the good quality and taste of their cupcakes. I don’t think I can ever recall a time that I disliked a cupcake at Sprinkles. I may also be a bit biased recently, because Sprinkles has been giving away free cupcakes everyday for the past week to the first 25 people who whisper the word of the day at their store. My friend told me it was very “Speakeasy” of them, which makes it fun. I whispered, “Orchard” the other day and received a free orange cupcake. Now, orange cupcakes do not seem very appealing to me, but I tried it and it was surprisingly good! Just another example of how Sprinkles doesn’t seem to ever disappoint. I ran across this picture today and I just STARED. It really is a work of art, simply beautiful! 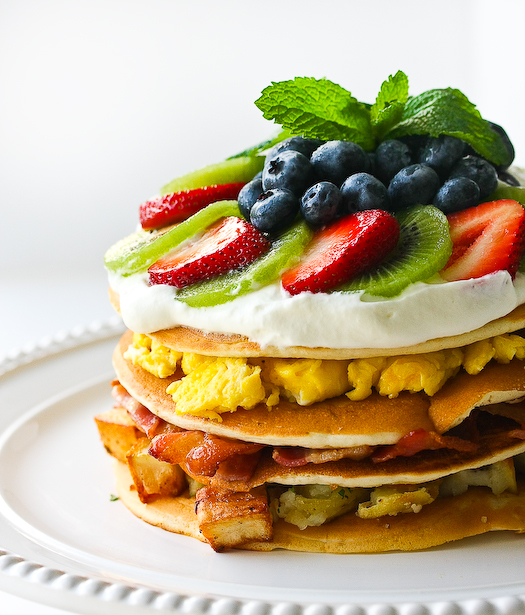 I absolutely love breakfast and this is the pancake tower of breakfast’s. Steamy Kitchen created this masterpiece with a layer of roasted potatoes, a layer of beautifully woven bacon(see post), a layer of scrambled eggs, then topped with whipped cream and fresh fruit. 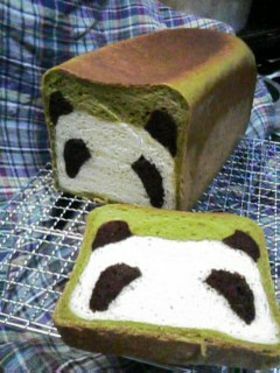 I’m definitely adding this to my “Must Make” list. I think this should be the new breakfast of champions. 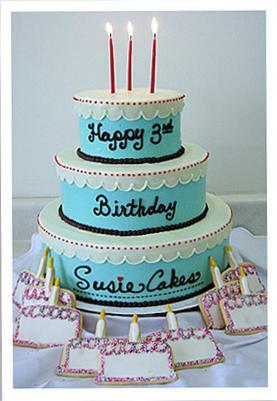 SusieCakes is celebrating their 3rd anniversary Willy Wonka style. This coming Saturday, July 18th, golden tickets will be baked into 10 random cupcakes. Those golden ticket holders will win prizes and also be eligible for their grand prize which is a Cake-of-the-Month Annual Membership (9″ cake each month for an entire year!). I don’t know about you, but getting a whole cake each month sounds pretty awesome. It’s like celebrating your birthday every month, all year long! Even more exciting Sprinkles news! Sprinkles just announced their “Sprinkles BFF” contest. The good thing about this is that it’s free to enter…all you have to do is just “become a fan” of Sprinkles on Facebook and once they get 100,000 fans, one lucky fan will become Sprinkles’ BFF. As a BFF you’ll get an all expense paid trip to visit the Beverly Hills Sprinkles store and get a bakery tour with Sprinkles Founder and Pastry Chef, Candace Nelson. Hotel accommodations will be provided at the Beverly Wilshire for two nights and the sweetest part of it is you get free cupcakes everyday, along with a bunch of other prizes and goodies! I’ve already become a Sprinkles facebook fan and I’m crossing my fingers that I will win! I’ve been daydreaming about waking up in my Beverly Wilshire hotel room and having cupcakes in bed. 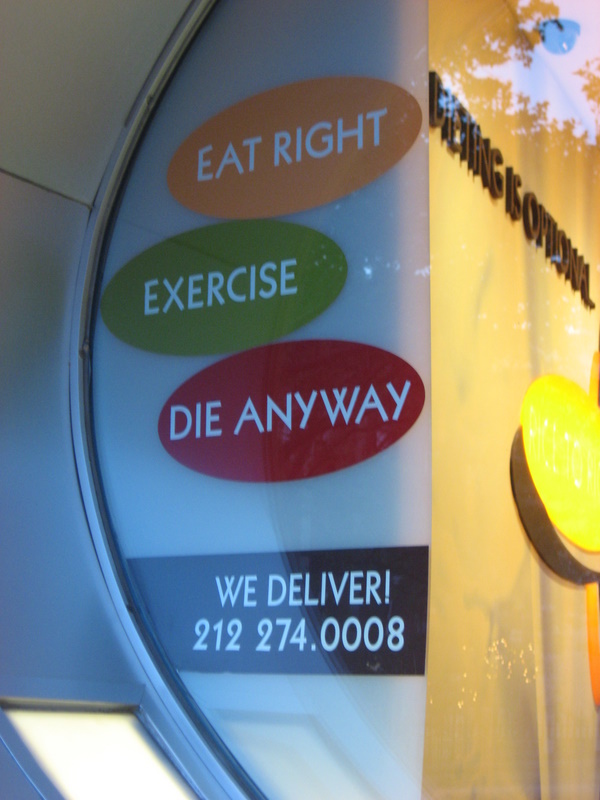 Move over Kogi, here comes the Sprinkles Truck! Exciting news for those of you in the LA/OC area who are not fortunate enough to have a Sprinkles store nearby. The Sprinkles Mobile will be making stops around LA and in the very near future it will add Orange County to that list. How can you find out the exact locations? Twitter of course! However, customers will have to pay a bit more to get their cupcake fix, $4.00 for an individual cupcake (75 cents more than what you pay at the Sprinkles store). 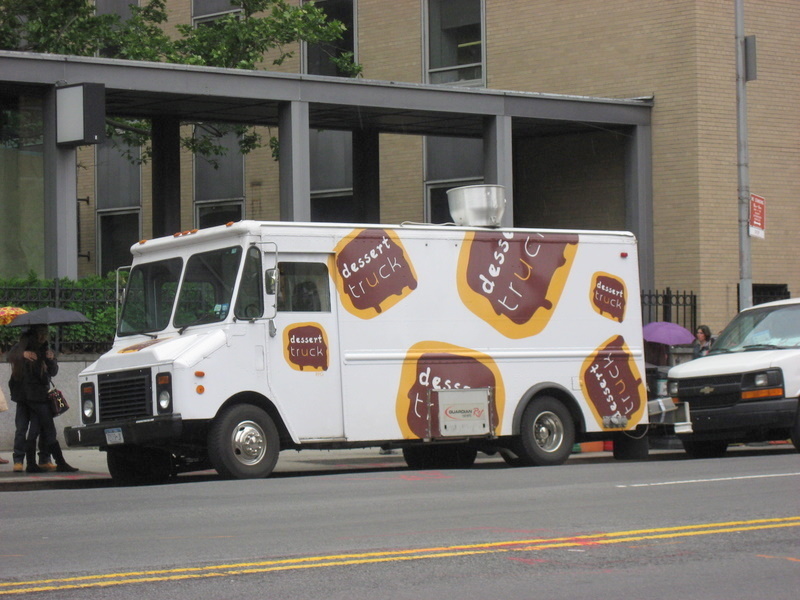 Now, if only we could get a Dessert Truck here. Onto other Sprinkles news, they have some intriguing flavors for the summer: Key Lime, Summer Cherry, Raspberry, Almond Dark Chocolate, and Vanilla Hazelnut Chocolate. 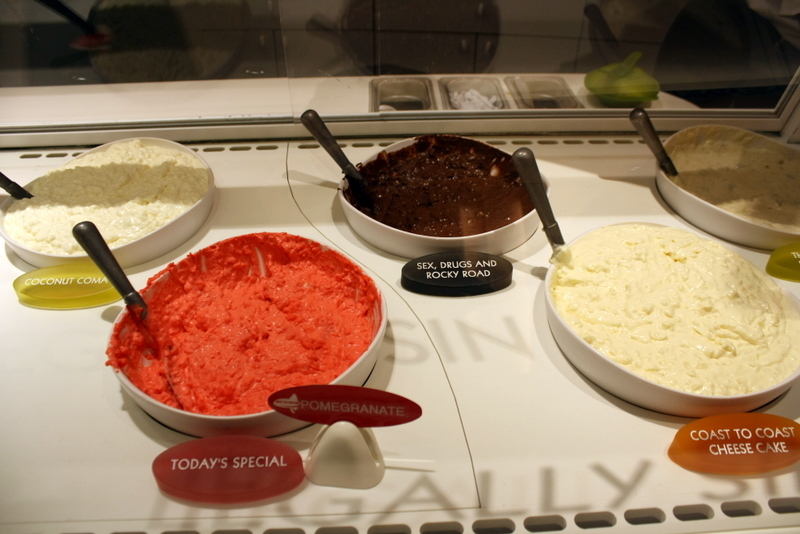 Each of the flavors will be featured on different dates during the summer, so check their website for more info. I am definitely marking my calendar for the Raspberry cupcake, Aug 7-16! No steamed or fried rice here, just yummy rice pudding in every flavor imaginable. 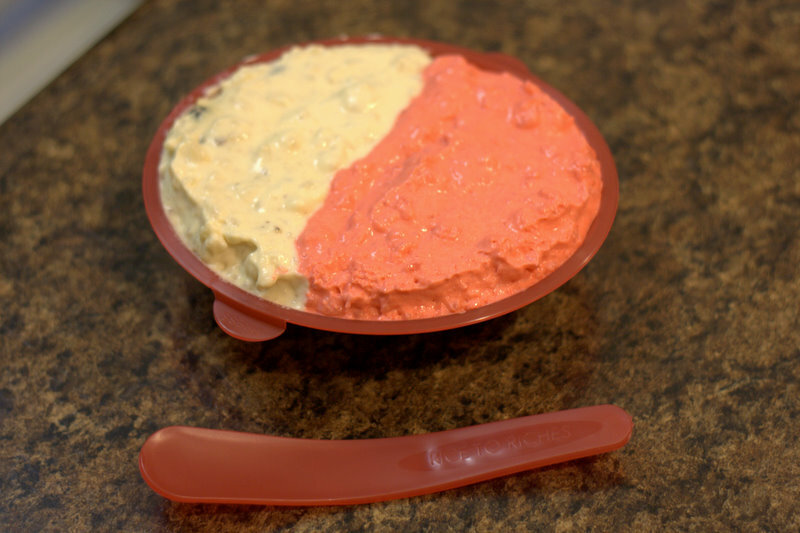 I pretty much sampled every flavor and ended up getting good old fashioned rice pudding with a hint of cinnamon and raisins and the very pink pomegranate flavor. 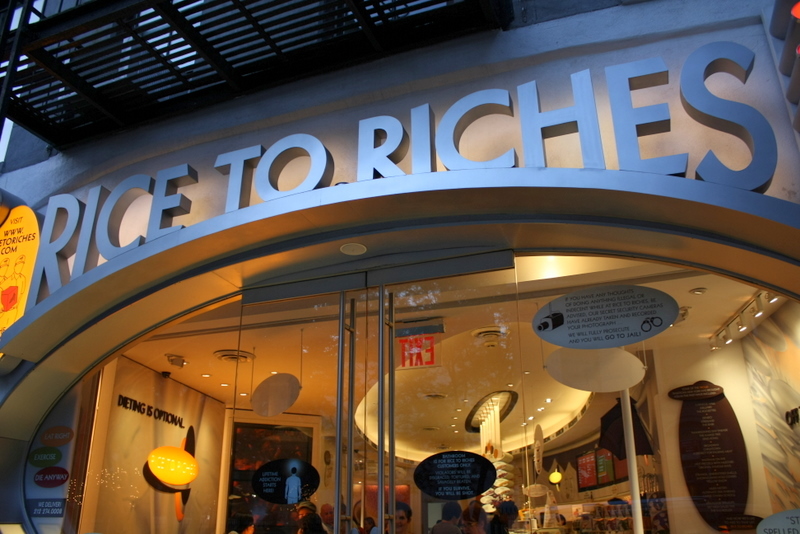 I loved this place…their gimmick was great, the store looked awesome, and their packaging was very cute. 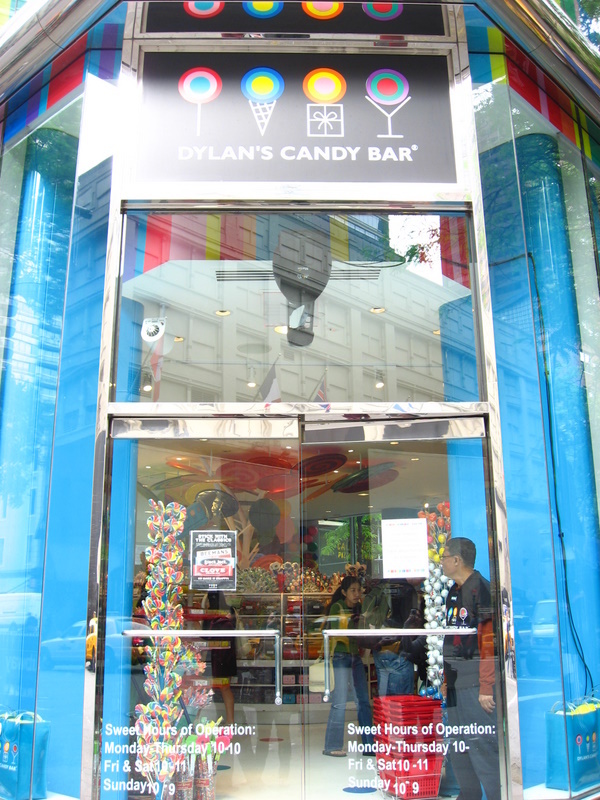 This place was filled top to bottom with all kinds of candy. 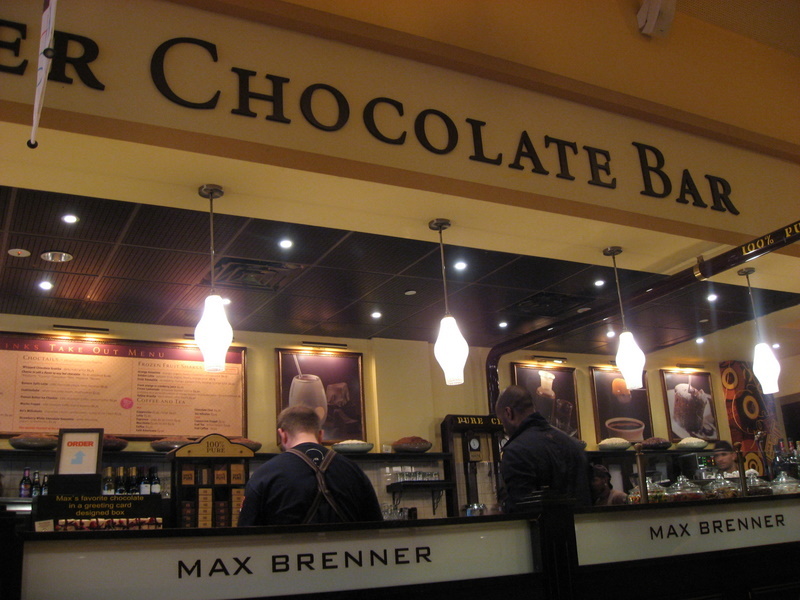 The only thing I have to mention is that their chocolate section was a bit small for my taste. I think this is the best invention ever. Gourmet treats at an affordable price. I ordered Warm Chocolate Bread Pudding and Vanilla Creme Brulee. 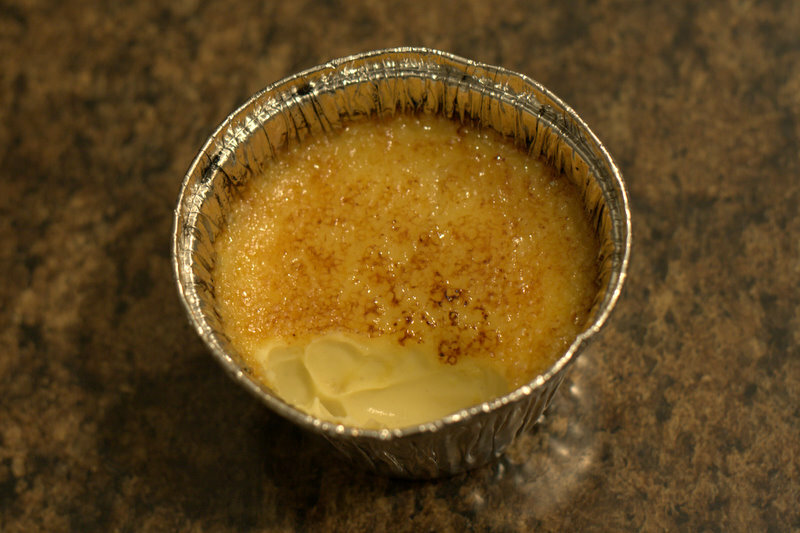 The Creme Brulee was my favorite, nice and creamy…so so good! I would like to be buried here. 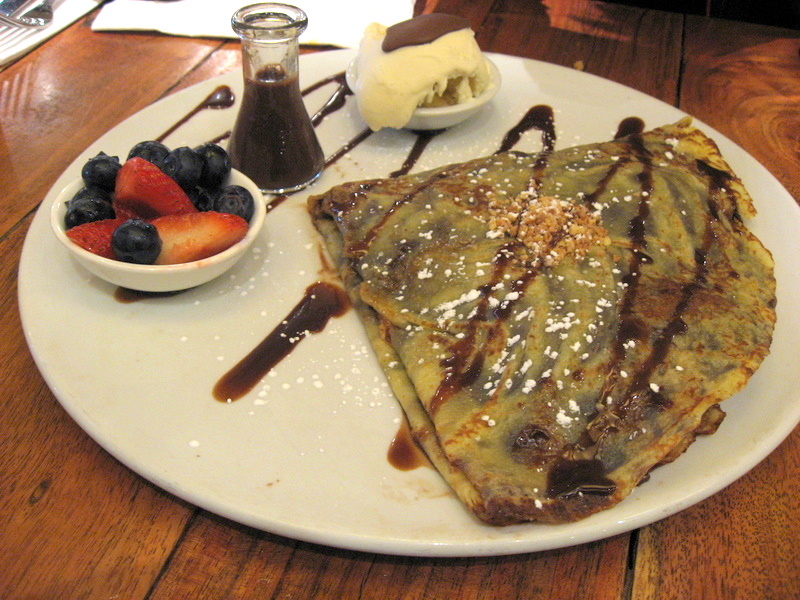 Chocolate Heaven. 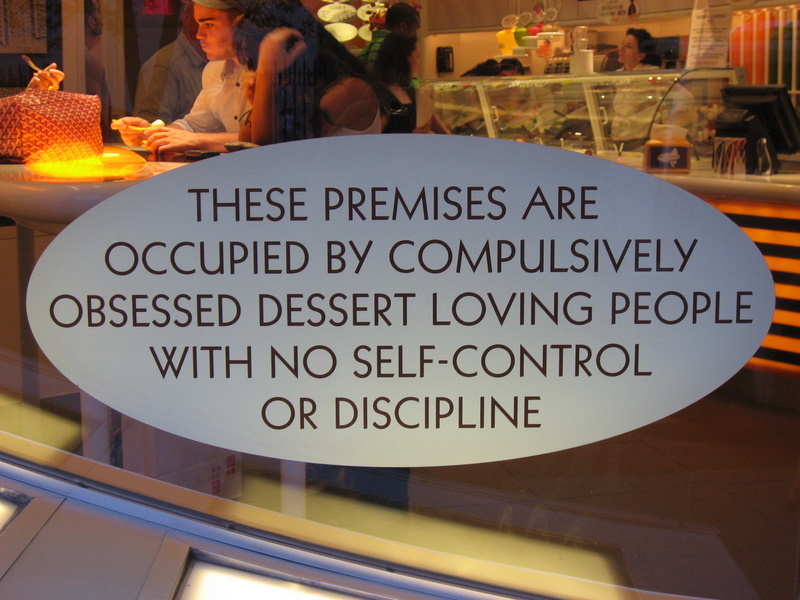 This place has a cafe with really good food and they have so many delicious desserts to choose from. I decided it was time for a change, so here’s my newly revamped blog. Enjoy!